Silver is becoming as elusive as a winning lottery ticket for me. I’ve been on a dry streak for about a month. I haven’t been out as much as I would have liked, but I’ve been out enough. I did visit a 1800’s park today and found my first Shield nickel. It’s in rough shape, but I knew it wasn’t a Buffalo. I assumed it was a V nickel, but after cleaning it I saw the number 5 surrounded by stars. I had to look it up to identify it. Its dated 1870 as best as I can tell. Regardless, its another coin off my bucket list. I also found a 1900 Indian head penny and a couple wheats. I thought for sure I would break my silver dry spell today. Nope. I knew the park was going to be a challenge when I came across someone else’s plug within about 10 steps into the park. Bummer. 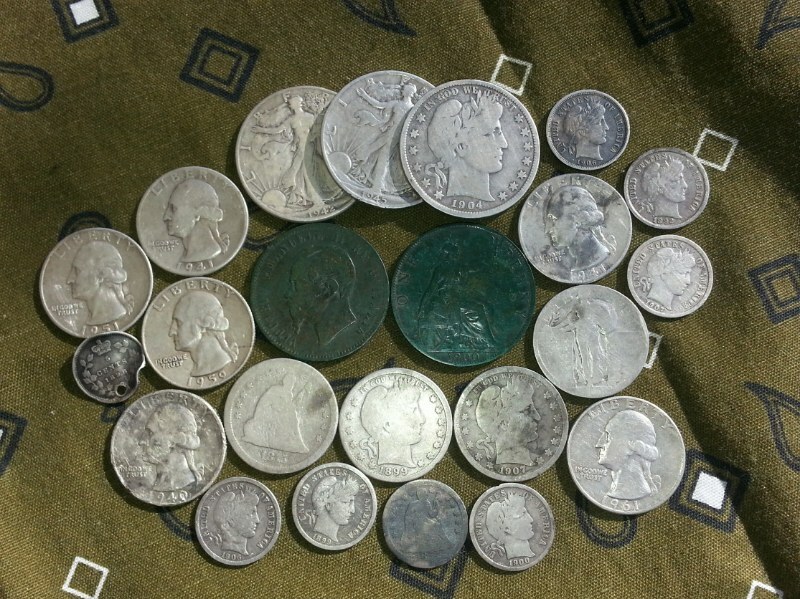 The old coins I did find today were deep and iffy. So maybe the Etrac will give me an edge when I go back and find more old coins! I hope everyone is doing well and out digging their own treasures.